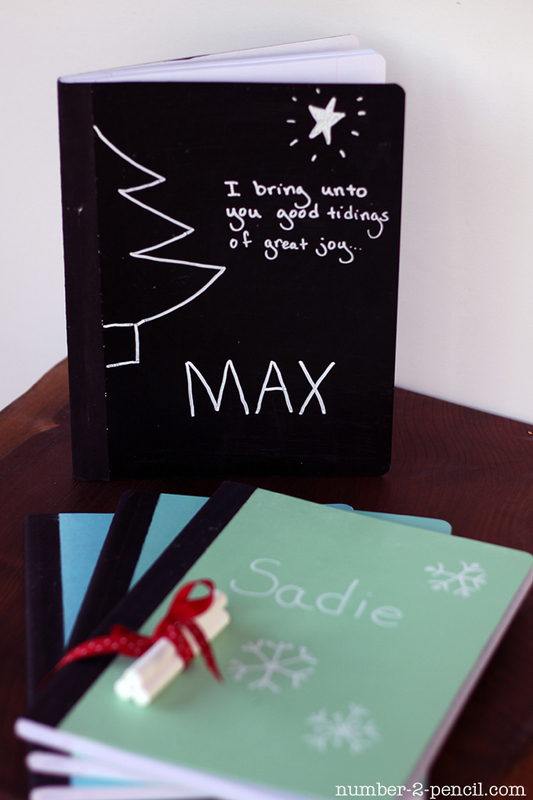 I just love using chalkboard paint, and I thought it would be fun to make these pretty and functional chalkboard journals for my kids, and my nieces and nephew, as Christmas presents. 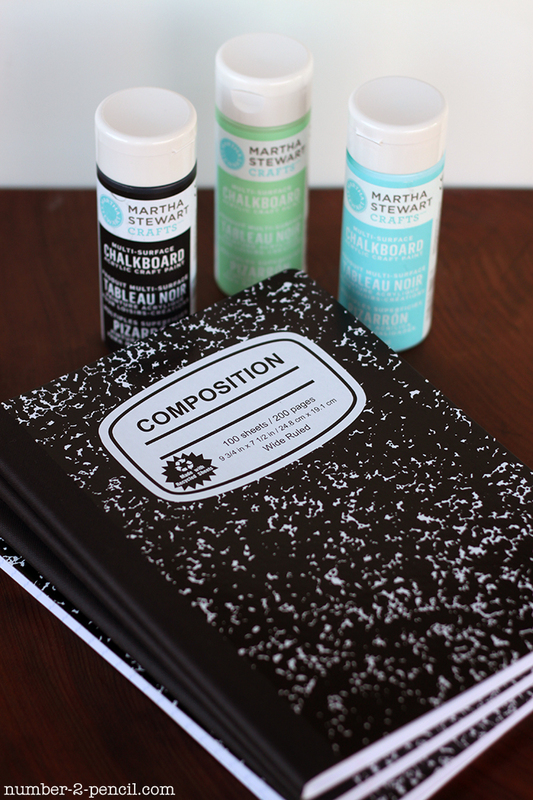 I picked up these composition journals for less than a dollar, and used some of the Martha Stewart chalkboard paint from Plaid. 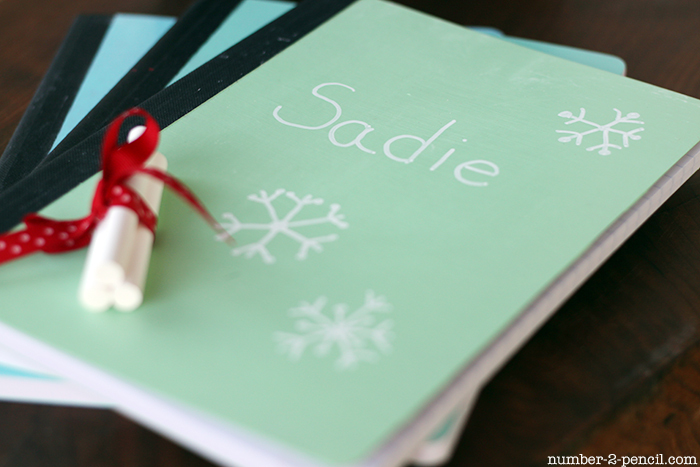 These colors are so pretty, and I think they work perfectly for the holidays. Just tie a big red ribbon around them! 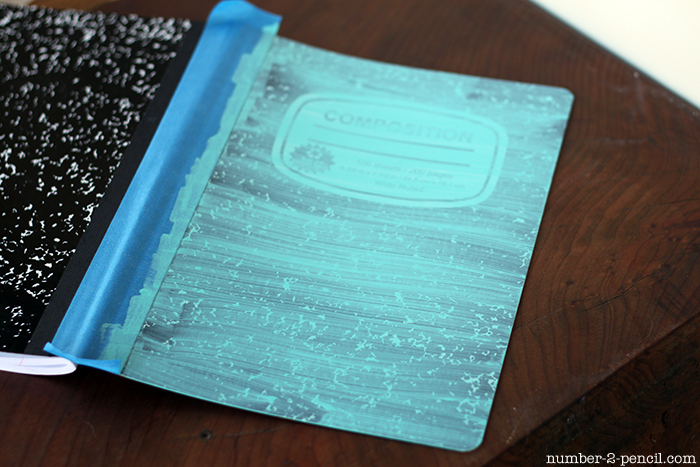 Martha Stewart Chalkboard Paints in choice of colors, I used black, green and blue and mixed the blue and green to create an aqua color on one of the journals. Step 1. 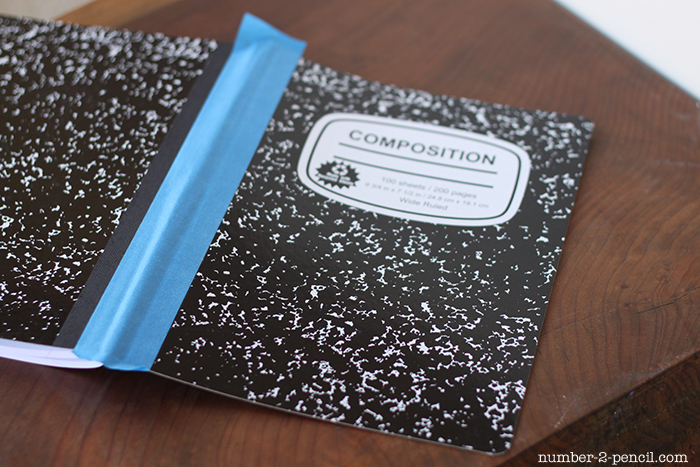 Gather supplies and tape off side of composition book. Step 2. Paint thin coat of chalkboard paint and let dry. Repeat until fully covered. 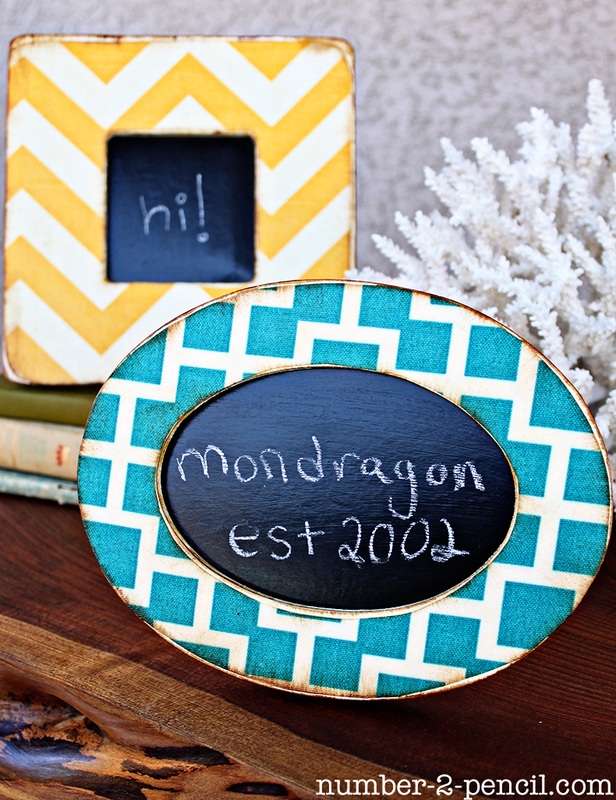 The light colors took four coats and the black took two coats. Step 3. Repeat on back of book and let paint dry for at least 24 hours. Step 4. Prep chalkboard paint by rubbing surface with white chalk and wiping clean with damp cloth. Step 5. 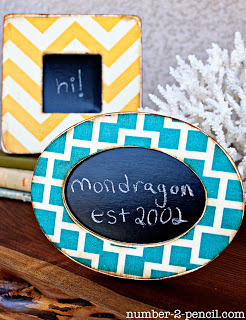 Draw and decorate, I like to use chalk ink markers because they are so bright and crisp. 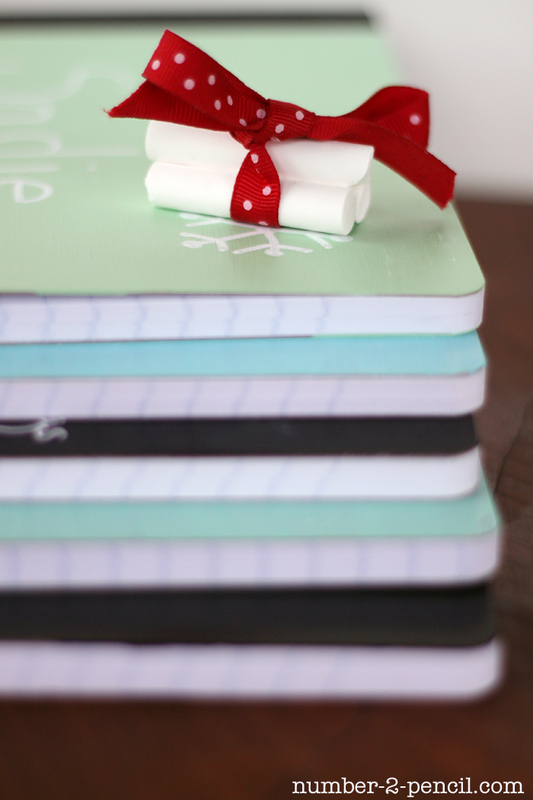 I think the kids will love these journals because they can personalize them any way they want. These are chic enough for grown-ups too. 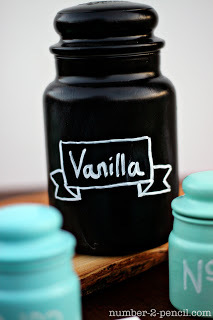 In fact, I think I will make one to keep! 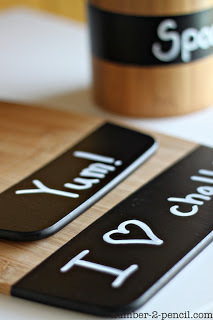 I love the chalkboard paint crafts! Such cute journals! These are adorable Melissa! What a fun gift too 🙂 Love it!